Anais Gallagher proves she’s all grown up in Nasty Gal ad campaign | HELLO! April 04, 2018 - 19:24 BST Leanne Bayley Anais Gallagher is growing up fast! The daughter of Noel Gallagher and Meg Matthews has just landed the biggest job of her modelling career - fronting Nasty Gal's Coachella collection. 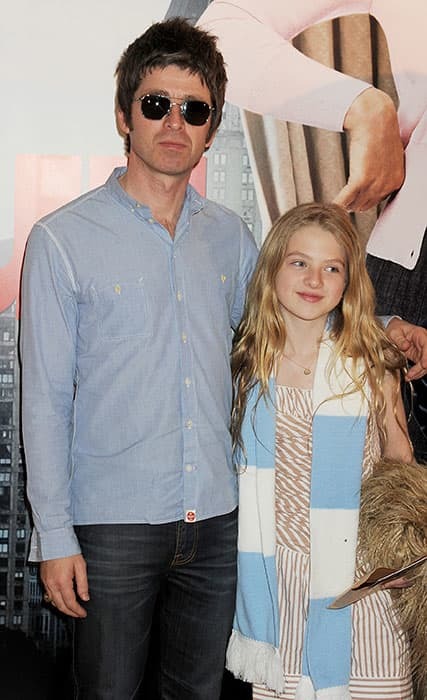 Anais Gallagher is growing up fast! The daughter of Noel Gallagher and Meg Matthews has just landed the biggest job of her modelling career. The 18-year-old has been chosen to front Nasty Gal’s Studio collection – a range inspired by Coachella music festival which is taking place on 13 April. The new collection launches on 10 April and you can expect the ultimate festival wardrobe. We’re talking vintage-esque dresses, intricate detailing and timeless designs. In the shoot, photographed at the infamous Pink Motel in LA, Anais looks ready to take the desert by storm. If anyone embodies a rock chick look it’s Anais – she was born into rock ‘n’ roll, let's not forget. The proud Londoner started making waves in the fashion world when she presented on the BAFTA-award winning children’s show Friday Download. Now, you can see her in all the major fashion magazines, and she’s taking Instagram by storm with over 139k followers. Signed to Elite models, she has even modelled for Tommy Hilfiger and Dolce & Gabbana. With her blonde hair and blue eyes, she definitely inherited her mum’s model looks. Admitting her parents helped her career, Anais told the Evening Standard: “I think it’s tough for me because in no way am I here by my own right. I’m here with this platform because of my parents. The new 20-piece Nasty Gal collection is designed to be worn mix-and-matched, and consists of embellished dresses, beaded separates, and there’s even a pair of western-inspired leather chaps – is that’s your thing?! With prices starting from £20, this collection is affordable and will be incredibly popular amongst the festival revelers at Coachella. Novak Djokovic's son isn't a baby anymore: see him riding his first bike!